There are a number of opportunities to meet international students on campus, including in classes, in the libraries, or in the various cafeterias. 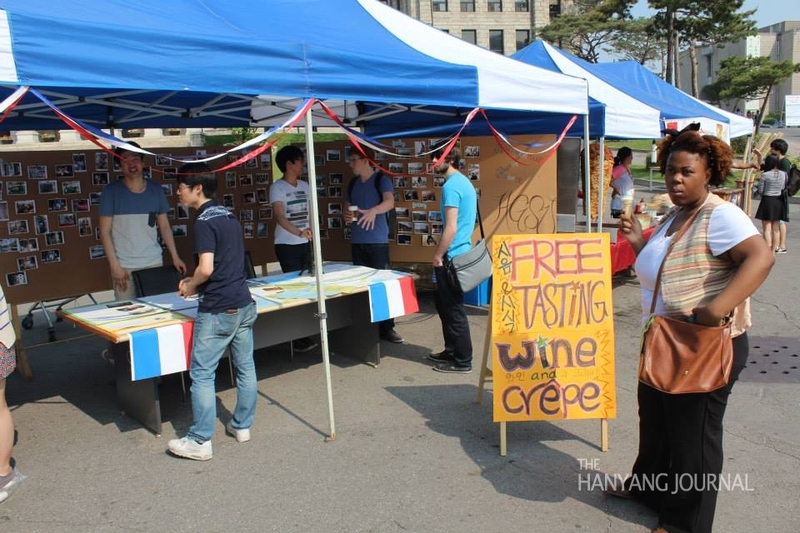 In fact, in order to promote mutual interaction of local and international students, there are programs such as Hanmile which is being organized by the Office of International Cooperation at Hanyang University(HYU). There is also a place specifically designated as a place to make international friends called “International Zone”, which is located in the second floor of School Union Building. 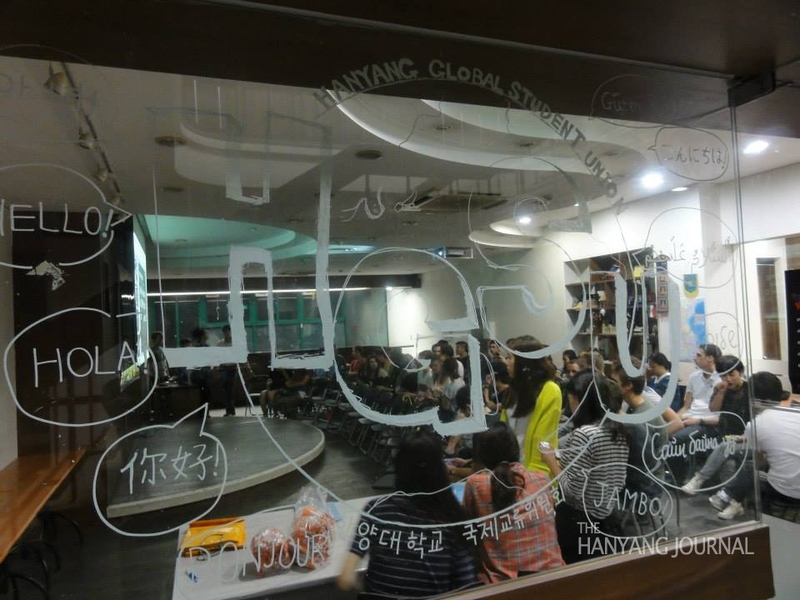 Moreover, the Hanyang Global Student Union(HGSU) was established in 2004 to promote friendships and cultural exchanges among HYU’s local and international students. The HGSU consists of both groups, specifically 80 international Hanyangians and 50 Korean Hanyangians, who meet every Friday. HGSU is not just a school club but one of the school affiliated organizations aiming to boost cultural exchanges. “Unlike Hanmille, which is a mentor-mentee program designed to help foreign students adjust to school life and introduce Korean culture to international students in one direction, HGSU focuses more on groups of people meeting to share cultural aspects mutually,” said Jeong Ho-jae, the President of HGSU. The group also hosts “the Day of Each Culture” in the campus festivals, as well as a Korean culture program that includes the Hanguel Golden Bell and Hangeul writing contest for international students. There are no required qualifications or requisites necessary to join HGSU. At the beginning of every semester, any Korean Hanyangians can take part in HGSU, and foreign Hanyangians are always welcomed. I have worked as a staff member of HGSU since 2010. The most interesting part for me has been the HGSU Membership Training(MT). Most Korean students like me, regard drinking excessively at an MT as being normal. However, since there are more international students in HGSU, the MTs now mainly focus on introducing Korean culture as well as drinking. For example, Korean teach foreign Hanyangians about different Korean games, which helps to liven the drinking mood. While enjoying the “King game” where the only rule is that the person who become the king can order anyone to do anything, I remember one international friend did not understand this rule and got angry with it. Even though I thought it was odd at that time, I can now understand that it was just a difference in cultures. I realized this thanks to the HGSU. When I first came to Korea, I could not speak Korean well. I did not have confidence in myself, and it made me passive towards most of the activities of the HGSU. For this reason, I did not do my best in the Hanguel Golden Bell, one of the activities that aim to improve the Korean proficiency of international students. However, through a number of cultural activities organized by the HGSU, Korean and international students can have an enjoyable time together, doing things like experiencing a temple stay or visiting famous Korean restaurants. Doing these kinds of things have helped me learn about Korean culture and language a lot. So I have decided to participate in the next Hanguel Golden Bell event more actively. Among a number of activities of the HGSU, the Halloween party was really interesting to me because I was able to learn about and experience something culturally new. HGSU hosted the party at a pub located in Wangsimni last year. Since everyone dressed up as ghosts, I could not find who my friends were. While looking for my friends here and there, several black women came to me and asked me to hang out with them, putting their arms around me. I felt really shy because I do not know any women in Korea who would be so open with men they are meeting for the first time. Such open-minded attitudes felt so refreshing to me and it was a good experience such a cultural difference without having to go abroad. At the Spring Festival, the booth of HGSU is different from other clubs’ because it is open to everyone, and anyone can experience a variety of international cultures. For me, being at a Korean university and experiencing the campus culture was so new and exciting at first. Since the time of the Spring Festival at Hanyang University is near my birthday, my friends always give me Saeng-il ju, which is a birthday drink of mixed alcohol given to celebrate a person’s birthday. I was a little uncomfortable when I was offered a bowl of the Saeng-il ju from a senior classmate the first time. However, when I learned that Saeng-il ju is a part of university culture in Korea, I started to enjoy it moderately. Now, because I have only two more chances to receive Saeng-il ju before I graduate, I will look forward to it as well as experiencing other aspects of Korean university culture.